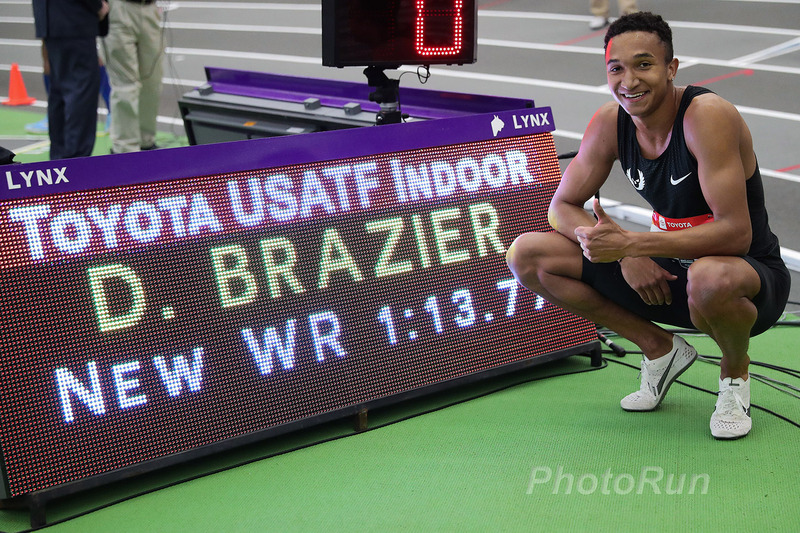 Coming off the heels of an American Indoor Record at 800m, Donavan Brazier demolished the world best for 600m, winning the USATF Indoor title in 1:13.77. Brazier took the lead near the halfway marker and passed through 400m in a quick 48.05 and never looked back. Brazier's winning time improves on Michael Saruni's former world best by more than a second.